CBC Women’s Facebook Group: CONNECT: Women’s Ministry – join the group and keep posted on events, prayer requests and local information. Click the link to see the group page and join if you’re not already a member. 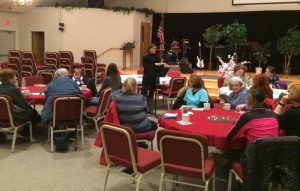 Monthly – Last Wednesday Evening: Connect Table Talk is a time for women to come together for fellowship, worship and prayer. The evening is spent worshiping with a few songs, community prayer among the tables and discussion of some sorts. Come enjoy getting to each other and build the friendships that will last throughout time. Occasional – gatherings added for the sake of participating in events around the community near and far, such as concerts and conferences that come to the New England area.